What a sad story the Bible tells us in the fourth chapter of Genesis! 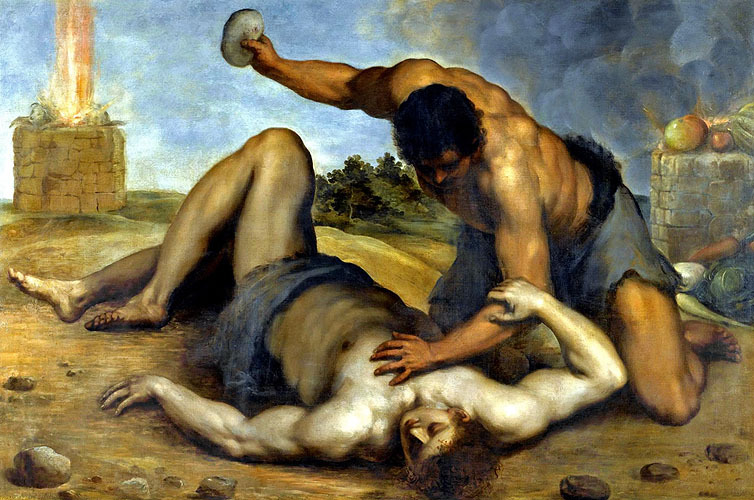 Cain and Abel were brothers, the sons of Adam and Eve. How they should have loved each other! Yet we find that Cain killed Abel. Why did he do this? Well, Cain was a husbandman, that is, a man who tilled the ground; Abel was a shepherd, who kept sheep. One day each offered a sacrifice to God. Cain brought the fruit of the ground, and Abel brought a perfect lamb. This perfect lamb was a type, or "picture", of the perfect Lamb of God, Jesus, Who was to come and sacrifice Himself to cover the sins of the world, and make it possible for man to again be in fellowship with God. God accepted Abel's offering, but not Cain's. Why? Well, I am quite sure that it was because Abel offered his sacrifice according as God had commanded, and had faith in the promised Saviour; but Cain simply acknowledged God's goodness in giving him the fruits of the earth. Cain's produce was not according to God's command, and was the work of his own hands. While the accepted sacrifice of Abel was according to God's plan, and pictured the coming Redeemer, Jesus, to die for our sins. God had no doubt told them, too, that when they came to worship Him, they were to bring a lamb or a kid as a sacrifice for their sins; this Abel had done, but Cain had not. So Cain was angry because God had accepted Abel's offering and not his; and now he hated his brother Abel. God knew the evil thoughts which Cain had towards his brother, and asked him, "Why art thou wroth?" (That means, "Why are you so angry?") and said, "If thou doest well, shalt thou not be accepted?" But then Cain did still more wickedly. When they were out in the field, just the two of them alone, he killed his brother. Was it not a cruel deed? They were alone when this murder was committed, yet one eye saw it all. God's eye sees everything! 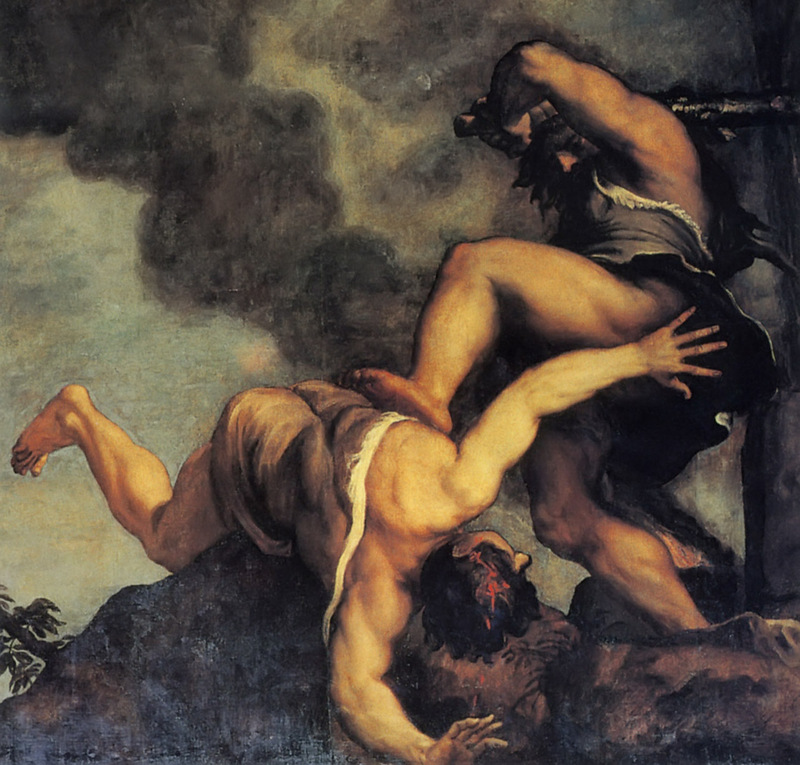 God saw it, and said to Cain: "Where is Abel, thy brother?" This true story from the Bible teaches us that we cannot sin without God knowing about it! Cain then told God a lie. He answered, "I know not." But, of course, he really did know. God was angry with Cain for his sin, and sent him as a fugitive and vagabond to wander on the earth.